Cholent is rooted in the Jewish Sabbath, which traditionally prohibits work from sundown Friday to sundown Saturday. Under some interpretations, this includes prohibitions on even turning on the oven or stove. So for those who want to have a hot meal (and many feel a religious imperative to do so), the solution is to set up a stewed dish cooking low and slow on Friday, long before the sunset. Over a day of slow cooking, flavors infuse, beans soften, and tough cuts of meat become tender. By the time synagogue services are complete on Saturday afternoon, the rich, flavorful stew is ready to ladle out. 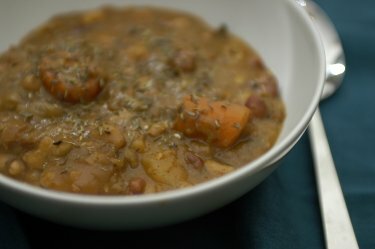 For the full audio and text versions of the report, including the details of how cholent inspired Irving Naxon to create what would become the Crock-Pot, head here. For more gift ideas, check out yesterday’s post for cookbook recommendations. And if you just can’t wait another moment for some fresh reading material, check out Saveur’s 2013 Best Food Blog Awards, which includes worthy finalists and triumphant winners. This particular list is from April, so it’s not an end-of-the-year recap, but who cares? Good content is good content, and all the nominated bloggers would love to have you as a reader! Happy holidays to you and yours. See you in 2014! Few letters have the power to stop conversation in its tracks more than MSG, one of the most infamous additives in the food industry. The three little letters carry so much negative weight that they’re often whispered sheepishly or, more often, decidedly preceded by the modifier “NO” that seems to make everyone breathe a collective sigh of relief when they go out to eat. Nobody wants MSG in their food—the protest goes—it causes headaches, stomachaches, dizziness and general malaise. It’s unhealthy and, maybe even worse, unsexy, used by lazy chefs as an excuse for flavor, not an enhancement. On the other side of the spectrum lies umami: few foodie buzzwords pop off the lips with such entertaining ease. Enterprising young chefs like David Chang (of Momofuku fame) and Adam Fleischman, of the LA-based chain Umami Burger, have built their culinary careers on the basis of the fifth taste, revitalizing an interest in the meaty-depth of umami. It’s difficult to watch the Food Network or Travel Channel or any food-based program without hearing mention of the taste wunderkind, a host or chef cooing over the deep umami flavors of a Portobello mushroom. Where MSG is scary, umami is exciting. 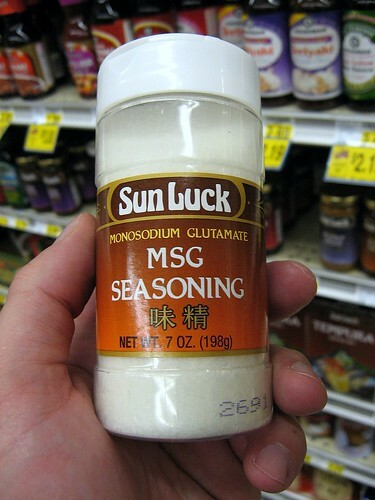 What few people understand is that the hated MSG and the adored umami are chemically related: umami is tasted by the very receptors that MSG targets. The full post is worth a read; check it out here. In “Three Squares,” food historian Abigail Carroll upends the popular understanding of our most cherished mealtime traditions, revealing that our eating habits have never been stable–far from it, in fact. The eating patterns and ideals we’ve inherited are relatively recent inventions, the products of complex social and economic forces, as well as the efforts of ambitious inventors, scientists and health gurus. the book’s lasting value, at least for me, lies in its reminder that the three-meal structure is “only a cultural heirloom, not an ordinance of nature” — and thus open to intentional reinvention, as well as reactive evolution. For a teaser of the book, listen to Carroll’s interview with Virginia Prescott on New Hampshire Public Radio’s Word of Mouth. Then check out a chunky excerpt of Chapter 5 on the history of lunch at The Conference Board Review. When the English novelist Anthony Trollope toured the United States in 1861… he was astonished to see 5-year-old “embryo senators” who ordered dinner with sublime confidence and displayed “epicurean delight” at the fish course. 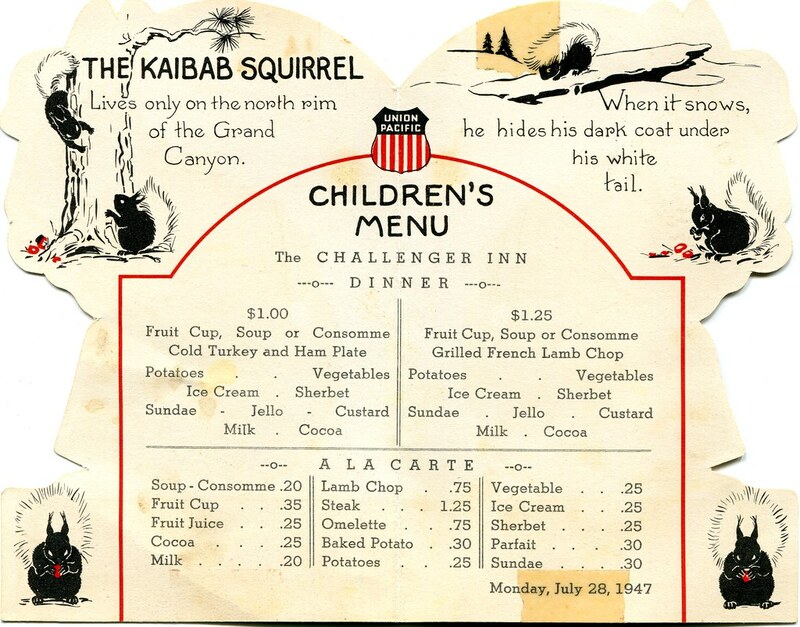 The full article is well worth a read, especially since it encourages a questioning of the current state and continued existence of the children’s menu. Check it out here. 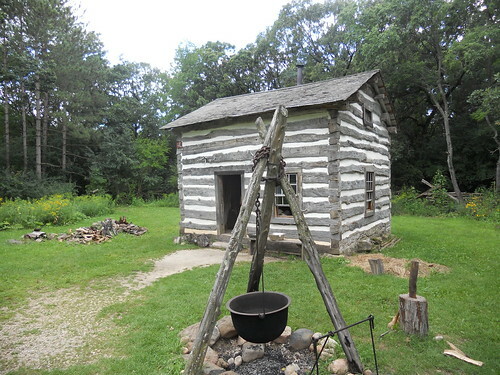 The living museum features more than 60 buildings gathered from around Wisconsin to form a crossroads village and a series of ethnic farms. The complex makes up one of the world’s largest facilities dedicated to the history of rural life, opening in 1976. Each building was painstakingly dismantled, shipped to [Old World Wisconsin] and then rebuilt and opened for exploring. All this is only about a hour’s drive west of Milwaukee, tucked into the flower-bedecked Kettle Moraine countryside. Check out Hintz’s full piece here, which includes wonderful photos from Joe Laedtke and Rob Gustafson, as well as details about fall happenings at Old World Wisconsin. Apes began to morph into humans, and the species Homo erectus emerged some two million years ago, Mr. Wrangham argues, for one fundamental reason: We learned to tame fire and heat our food…. The energy that we formerly spent on digestion (and digestion requires far more energy than you might imagine) was freed up, enabling our brains, which also consume enormous amounts of energy, to grow larger. 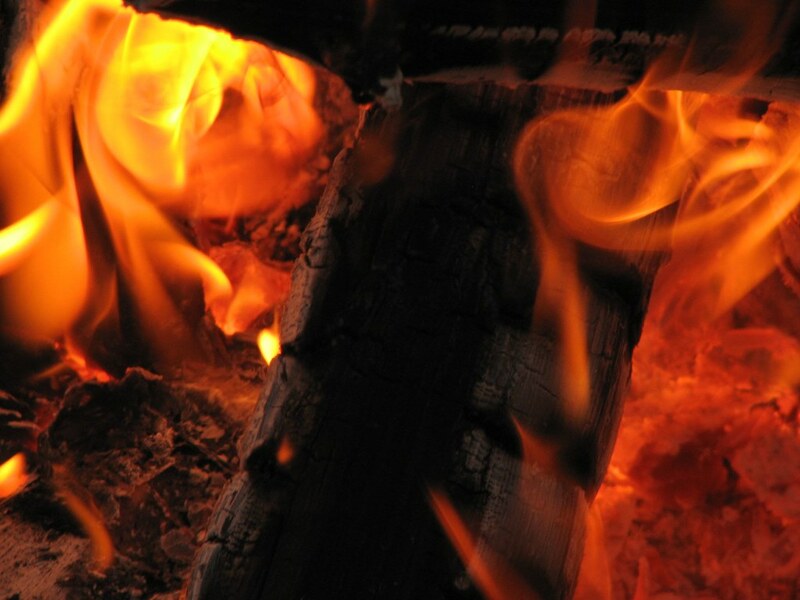 The warmth provided by fire enabled us to shed our body hair, so we could run farther and hunt more without overheating. Because we stopped eating on the spot as we foraged and instead gathered around a fire, we had to learn to socialize, and our temperaments grew calmer. The book isn’t without it’s flaws, but it’s well worth a read. 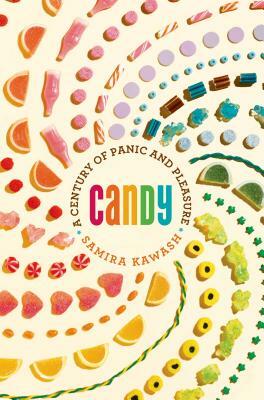 If you want to get a flavor of it, check out Garner’s review, Christine Kenneally’s review at Slate, and especially Wrangham’s appearance on NPR’s Science Friday. The Conscientious Omnivore is away. This is an encore presentation of a post that originally appeared in slightly edited form on June 18, 2012.